The Dead Sea region has been known for its medicinal and therapeutic properties for thousands of years. It’s pure, mineral-rich waters and warm temperate climate have made the area a center for wellness and treatment centers that attract visitors from around the world. The natural healing elements of the region are the mineral waters of the Dead Sea, the therapeutic Dead Sea Mud, and the unique climate of the area. - Dilute solutions of ancient waters that are held in the layers of rock that surround the Dead Sea. - Dilute solutions of Dead Sea water. - Rainwater, trapped thousands of years ago in the sediment around the lake. - Present-day rainwater that has seeped underground and has diluted the concentrations of water already there. The high temperatures of the spring water along the length of the fault indicate a depth of hundreds of meters at its source, where the water almost reaches boiling point. The physical makeup and heat of the spring water can be compared to water within the human body, and thus provides us many natural treatments without side-effects. The hydrostatic pressures of the water provide amazing therapy as they influence our blood circulation and breathing. The high mineral content provides a direct supply of various chemical compounds, and gives rise to the absorption and discharge of ions through the skin. Some of this hot mineral water arises freely while some is pumped from various depths according to the temperature required. The water contains many minerals that promote health and wellness. The main minerals at work here are magnesia, known for its anti-allergic effect on the skin and bronchial tubes; bromine, which has a positive influence on the nervous system; and iodine, which is helpful in the functioning of various glands. 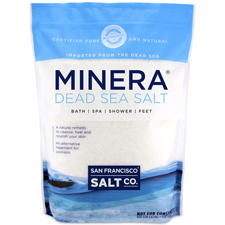 The minerals of the Dead Sea are used in many cosmetics and skin care products because of the beneficial effect that they have on the skin. The unique physical and chemical characteristics of the Dead Sea make the region a popular destination for those seeking treatments for a variety of conditions. It’s no wonder the Dead Sea continues to be a popular destination for tourists, physicians and those seeking relief from various ailments. In all its breathtaking beauty, the Dead Sea offers relief and effective natural treatments for an astounding variety of conditions. Although the medicinal properties of the water have not yet been adequately researched, the Dead Sea is considered a great therapeutic resource and is one of the most popular centers of health and wellness in the world.